The Games Console Switch Interface Deluxe (aka C-SID) is a versatile accessible controller that can be used to play games on PCs and Playstations as standard. It can be used in many different ways to make gaming more accessible for disabled gamers. As ideal for gamers using a single push button as for people wishing to build complex fully customised set-ups. 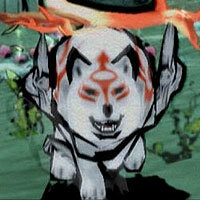 PSone, Playstation 2, Playstation 3 and PC compatible. Using separately purchased adapters the Xbox 360, Nintendo Wii*, Gamecube and SEGA Dreamcast can all be played with switches too. Works with the vast majority of Playstation games that use a standard Dual Shock controller. Build the set-up to suit you or your team. Enjoy some of the finest games available. Optional extras: The C-SID Squid box enables you to patch in a very simple joystick anyway you like. The VRAA! add on allows for driving speeds to be reduced and controlled. The ULTRA add on enables connection to a PC acting as an extra accessibility "brain" allowing for control latching, auto-fire, control and profile cycling and the addition of analogue controls. This is a way to link to a PS4 and Xbox One too. 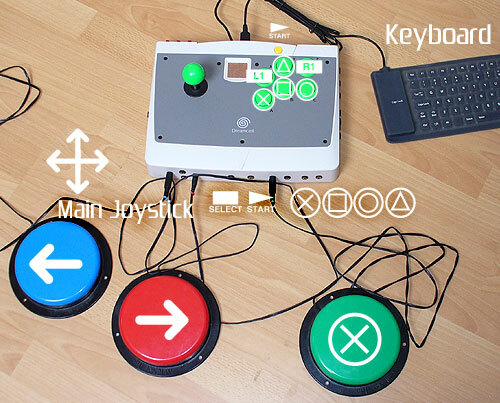 You can learn more about the C-SID in action at the Accessible GameBase C-SID user group. Please feel free to e-mail for further "C-SID" information and for ordering details. Accessibility standard sockets allow for a huge range of controls to be attached. 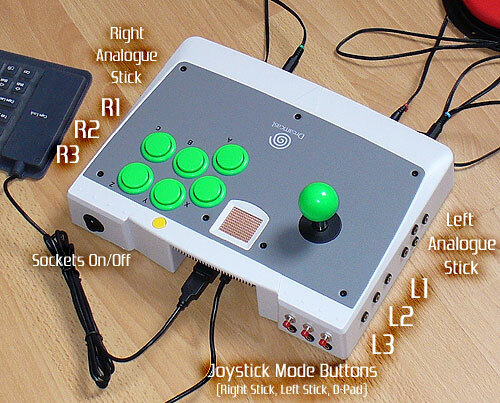 Share controls using the arcade stick, switches and even an external USB keyboard. The joystick can act as the D-pad, or either thumb stick at the press of a button. A selectable "basic mode" makes all the green buttons do the same thing. Use the switches and/or joystick as a Mouse controller using JoyToKey. Use to browse the internet and much more. Compatible with most one switch games from the go. PC emulators open up Sega Megadrive, Arcade coin-op machines and more. Controls are fully programmable via a PC. Any USB standard keyboard can be attached, including most accessibility keyboards. N.B. The arcade sticks are brand new old stock SEGA Dreamcast units adapted using iPac circuitry and custom chips. All controls are digital in effect. Accessibility switches not included. Xbox 360 adapters purchased through OneSwitch.org.uk come supplied with an analogue joypad which can be used simultanously. * Nintendo Wii compatibility is restricted to Wii and GameCube games that are playable with an N64 joypad. A list of compatible Wii games including Mario Kart can be found at Wikipedia. Rear View: All 27 sockets can be turned on or off, useful whilst a helper navigates menus, if the main gamer is impatiently pressing their controls wanting to get going! There are a number of games that can be played using a single button, including Destruction Derby (PSone), Everybody's Golf (PS2), Um Jammer Lammy (PSone) and Super Monkey Ball Deluxe (PS2 - some mini-games). However, almost all games can be made accessible within a team setting, with players taking charge of how ever many controls they can cope with to play together. C-SID Instructions - PDF document explaining how the C-SID works. Playstation One Instructions - Some old games and ideas that will work on a PS2. Playstation 2 Accessible Games - A list of the best accessible games for the Playstation 2, most of which can be played one-switch style. One Switch Gaming - Much information on how to make games machines accessible, games reviews, links and access campaign. D.I.Y. Guide - Step by step guides for building your own Games Console Switch Interface Deluxe (C-SID).